Test potential kidney donors of African ancestry for APOL1 risk variants to determine kidney disease risk status. Get results within 7 days of receipt for potential live donors and patients at risk. Please note that currently APOL1 rapid gene testing services may only be ordered by physicians. Why Should Potential Kidney Donors of African American Ethnicity Be Tested? Variants in the apolipoprotein L1 (APOL1) gene are associated with a family of common kidney diseases in African Americans and these variants cause up to 40 percent of kidney disease in African Americans who receive renal replacement therapy with dialysis or kidney transplantation. Wake Forest Baptist Health offers a rapid diagnostic to report on the presence of APOL1 renal-risk variants. Results for potential live donors and patients at risk are provided within 72 hours of receipt. Contact our Immunodiagnostics Laboratory at hlalab@wakehealth.edu to discuss same-day results for deceased donors. Rapid APOL1 genetic testing services are based on the research of Barry I. Freedman, MD, John H. Felts, III Professor and Chief of Nephrology at Wake Forest. 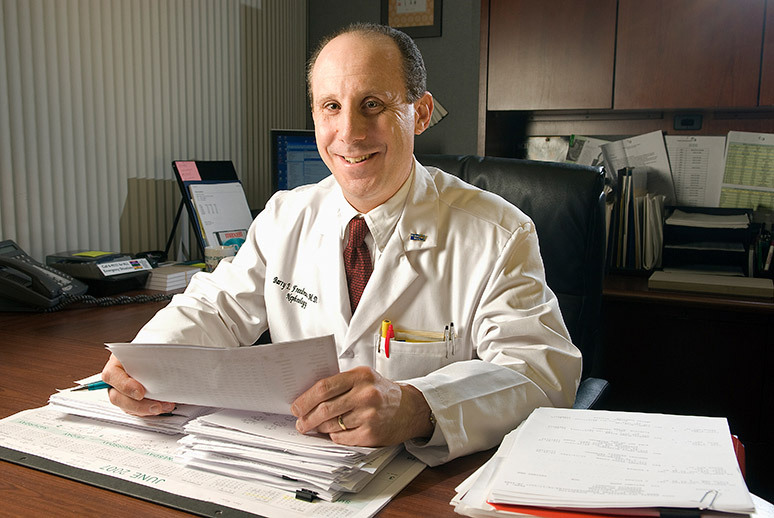 Freedman is an active clinician-researcher whose research focuses on genetic causes of kidney and cardiovascular disease, hypertension and type 2 diabetes, particularly in African-Americans; as well as clinical outcomes in chronic kidney disease and after renal transplantation.